In my opinion, one of the most liberating parts of cooking is when a recipe really comes together. There’s no feeling that compares to the exhilarating sense of mastery that you get when you unlock the ability to create your favorite foods right at home in your kitchen whenever you want. For me, this doesn’t always mean making an entire dish from scratch. I still get a kick out of creating my own baking mix, garlic paste, or clarified butter. Not only does this mean that I don’t have to buy these things at the store, it also means that I don’t have to spend time looking for a clarified butter substitute when I run out. Instead, I can just whip up a new batch in a jiffy. While I can’t teach you how to make every single ingredient in a single webpage, I can share the secrets of clarified butter with you. Here’s everything you ever wanted to know about this frying fat and how to quickly make it at home. Butter is made from milk, which comes from cows, which are living creatures. This means butter is organic, real, and messy. It’s made of lots of component parts, including water, fat, and some solids. Clarified butter is simply butter with everything but the fat removed. This has a number of advantages. First, it has a much higher smoke point, which is a fancy way of saying that it’s better to cook with at high temperatures. Normal butter can burn at medium-high heat fairly quickly, while clarified butter is fine to about 485 F. Second, it lasts for far longer than regular butter. You can keep clarified butter in a sealed container in the fridge for a very, very long time. Finally, it’s more attractive when it’s melted. Clarified butter is clear and has a wonderful color, while regular butter has lots of gunk floating in it when it’s melted. Since clarified butter is just butter with all the solids and water removed, it’s pretty easy to make at home. Simply simmer butter in a saucepan over low heat until it stops bubbling, then run it through a strainer. You can use cheesecloth, put a coffee filter in a colander, or even skim off the solids by hand with a spoon (this can be tricky, especially since most of them are going to be in the bottom of the pan). 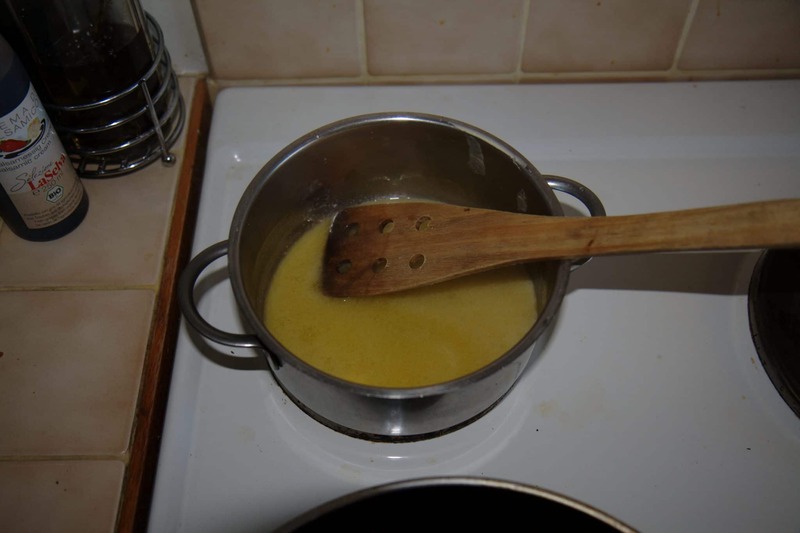 Clarified butter takes a bit of time to make (it usually takes 25 to 40 minutes for the water to boil off) but is pretty easy and it lasts for well over a month. I like to fill a pot with butter, turn on the heat, and then spend half an hour cleaning the kitchen while the butter boils. Store clarified butter in an airtight container in the fridge. If the above method is too time-consuming, you can make something pretty close to clarified butter by simply microwaving butter for a few minutes and skimming off the foam. You won’t necessarily get all of the liquid out with this method, but it’s close enough for many recipes. Feel free to use this shortcut as long as you’re not deep frying something in butter. Ghee is somewhat similar to clarified butter, but it has some differences. Instead of simply boiling off the liquids and draining the solids, ghee makers add an important additional step. Before removing the milk solids, they brown the butter and give it a rich caramel color and a flavor and smell that’s quite reminiscent of nuts. 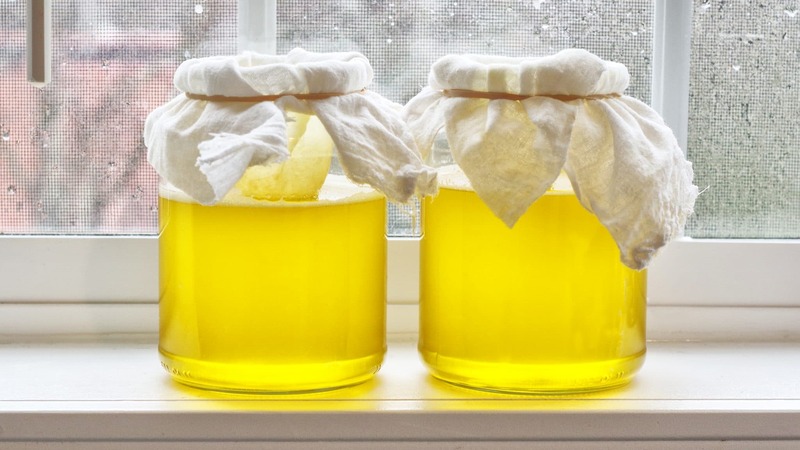 Just like clarified butter, you can make ghee at home quite easily. You’ll have to pay a bit more attention to your pot, however. To make ghee, melt butter over low heat in a saucepan. When it turns into a liquid, turn the heat up to medium and let it cook until it finishes foaming. When it’s done foaming, turn the heat up until it foams again. As soon as your butter finishes foaming for the second time, turn the heat off. Just like with clarified butter, you’ll want to strain it using a cheesecloth, colander and paper filter, or a very patient and steady hand. 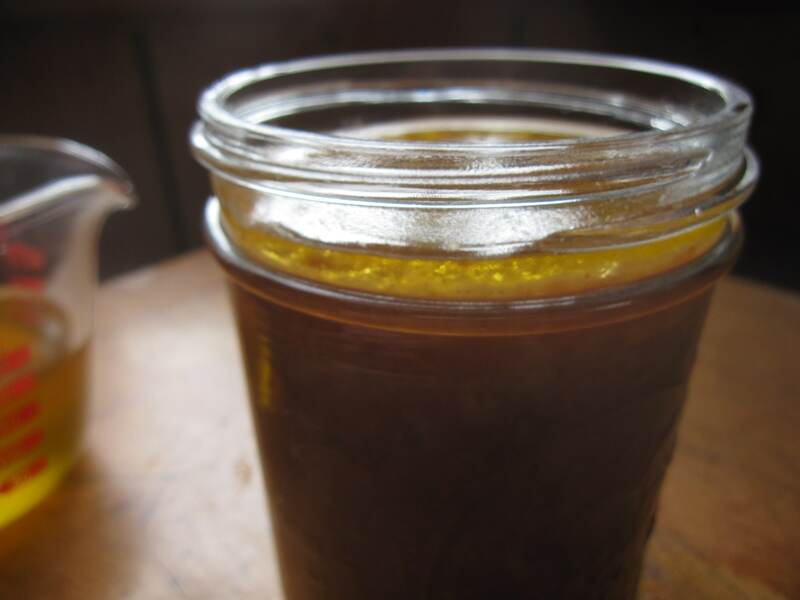 Ghee should be kept in an airtight container and lasts for well over a month. Clarified butter is exactly as vegan as regular butter. This means it’s usually not classified as vegan. You will find some vegans that will drink milk or eat butter that comes from cows that they know for sure are happy, but this is the exception, not the rule. In general, you should avoid serving dishes made with clarified butter to vegans. If you need an Indian butter substitute, the best thing to do is make your own. Finding a true substitute for ghee is tricky due to the unique nutty flavor of ghee as well as the high smoke point. That said, if you don’t mind your dish tasting slightly different, you can usually use any high smoke point frying oil just fine. 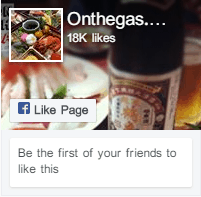 This means that you can cook any curry or other Indian dishes in regular olive oil or whatever you use for sauteing. 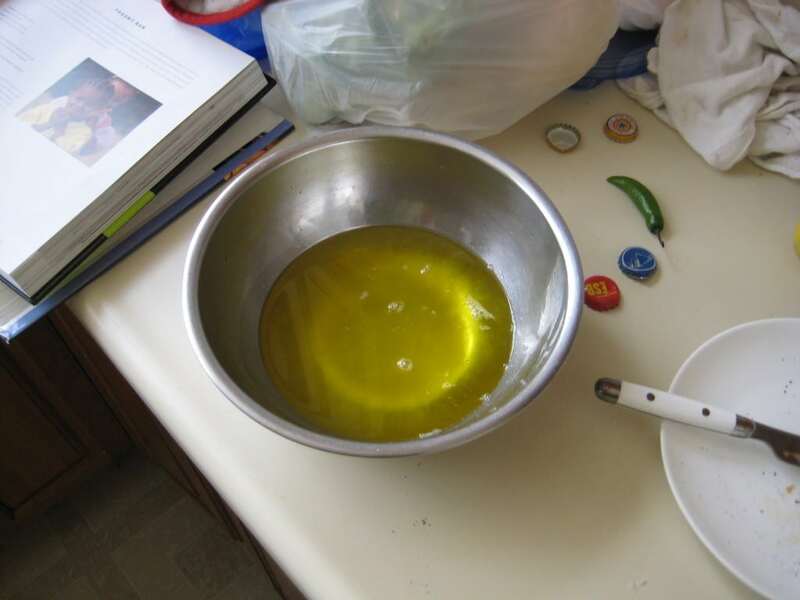 Be mindful of the smoke point of your oils: olive oil, for example, has a moderately acceptable smoke point as long as you use the cheap stuff, but extra virgin olive oil isn’t great for frying and sauteeing. The best substitute for ghee is clarified butter (and vice versa). A butter-flavored margarine or oil with a similar smoke point will also do the trick. If you’re not worried about taste, however, just use your favorite fat with a similar smoke point. Just like with ghee, the best thing to do is to make clarified butter yourself! If you can’t do this, ghee works as a pretty close substitute, although it does taste different. Otherwise, you’re free to use any cooking fat with a similar smoke point. Both clarified butter and ghee have several advantages over regular butter. They’re more attractive while melted, they have higher smoke points, making them better for high-temperature cooking, and they keep for much longer in the fridge. You can make these ingredients quite easily at home or simply substitute out any other cooking fat (like vegetable oil, lard, shortening, coconut oil, or anything else you would cook with) at the expense of butter’s distinct taste. I strongly recommend making your own butter at home, however. You’ll get a nice sense of accomplishment and cook everything the way it was meant to be cooked!